I know public school is great because there aren’t uniforms, however that doesn’t mean you can wear pajamas to school. I’m sorry, but that is pushing it too far. High school culture is lazy enough (I already watch people trudge through the morning classes with their eyes half-closed, clinging to their coffee for dear life); I don’t want to see another person walk through the door wearing sweatpants, yoga pants, pajama pants, or slippers ever again. That’s right. 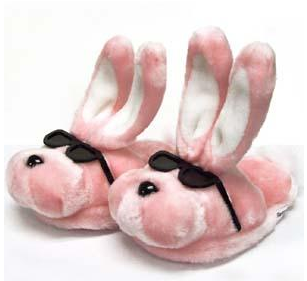 People wear slippers to school. I’m usually pretty tolerant of people’s style choices, but this was really irking me lately. Thanks for letting me ramble for a while. I drove by myself for the first time a few days after I got my license. I didn’t really need to go anywhere, I was just itching to go SOMEWHERE. I drove through some of the streets near my neighborhood, then ventured out a little further. There’s a huge hill near the end of my street. I went down it, with extra caution because there was still some snow on the ground. 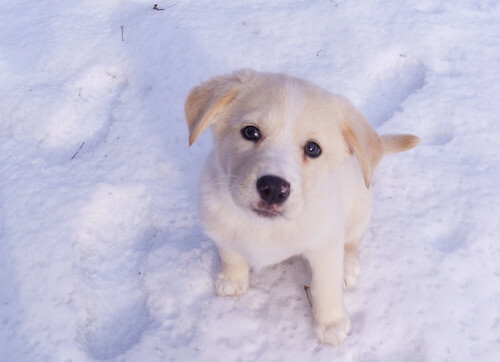 I rounded the corner––radio on, endorphins pumping from the thrill of the hill and the rush of my first drive––when a little white puppy (barely visible against the blanket of snow) ran across the street. Thankfully, I saw it in time to stop and allow it to scuttle to the other side. The dog was absolutely adorable; I don’t know what I would have done had I hit it. That experience taught me to be a more observant driver. Now, whenever I drive, I think of a little white puppy around every turn. After an absence of a few weeks, I have returned! Be sure to check out all the apologies and other exciting things I posted earlier today. To come back with a bang, here’s a short piece I wrote on the history, influence, and significance of Godzilla! Enjoy! 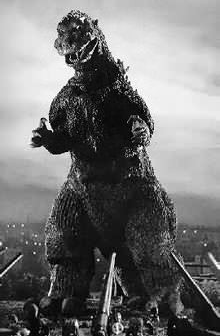 Godzilla, the giant lizard-monster famous for terrorizing Japan, has survived in media for over 50 years and continues to be an icon of Japanese culture. Since Godzilla’s not-so-humble beginning in the 1954 film “Gojira” (the Japanese name for Godzilla), the monster has been in movies set in several countries––each time used to allegorically showcase their fears. Today Godzilla (and other giant monsters that spawned from the original’s success such as Mothra, Rodan, and King Ghidorah) is known worldwide, but the spirit of Godzilla and the monster genre it created remain purely Japanese. The behemoth originally represented the threat of nuclear war in the wake of the bombings of Hiroshima and Nagasaki. 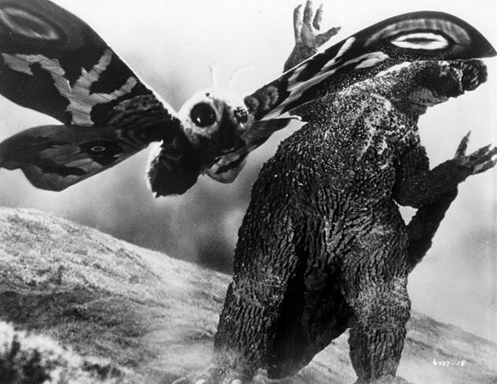 The United States swiftly created a Godzilla film of its own, disregarding the original plot, but nonetheless Godzilla became popular in America. Godzilla’s American popularity continued as other monsters swept through Japanese cinema: Movies like “King Kong vs Godzilla,” “Mothra vs Godzilla,” and “Godzilla vs the Thing” introduced new monsters that turned Godzilla into somewhat of a hero. Instead of being a metaphor for Japanese fears, the monster itself began defending the nation from terrorists, pollution, invading aliens, and their giant monster representations. To the observer, the change of Godzilla’s role in the movies shows that it had been completely absorbed and became a true icon. As much as Americans ate up the Godzilla franchise, the concept is completely Japanese. Japan produced something successful because everyone could relate to it. In 1954 the threat of nuclear war was very real for Japan, and other countries had fears of their own. Whether it’s demolishing the Tokyo Tower or crushing waves of U.S. troops, Godzilla is the embodiment of fear on a national level. Japan’s interpretation of that fear gave the nation massive amounts of soft power as Godzilla infiltrated the movie theaters around the world. The influence the monster had––its movies, action figures, collectables––was so immense that the original film spawned more than 20 sequels, companions, and spin-offs. Though Godzilla may have lost its original metaphor for nuclear war, it exists today as a slate to which any fear could be applied, and an international icon that preserves an important piece of Japanese history. We’re in the theater rehearsing our winter play. It’s a delightful comedy. She misses a cue. This is the girl who is so involved, so passionate about so many things. Constantly under pressure, using theater to escape. Despite her reasons, she’s a great actress. Just not in that moment. She breaks down. Crouching down on the stage to hide her tears, her character melts away. The all-seeing eyes of the director suffocate her, squeezing the tears out. She picks up the pieces of her composure––a mosaic of distress, sorrow, and defeat. It was never supposed to happen; it was a mistake. But as I passively observed her breakdown in the theater she was more herself than I had ever seen before.